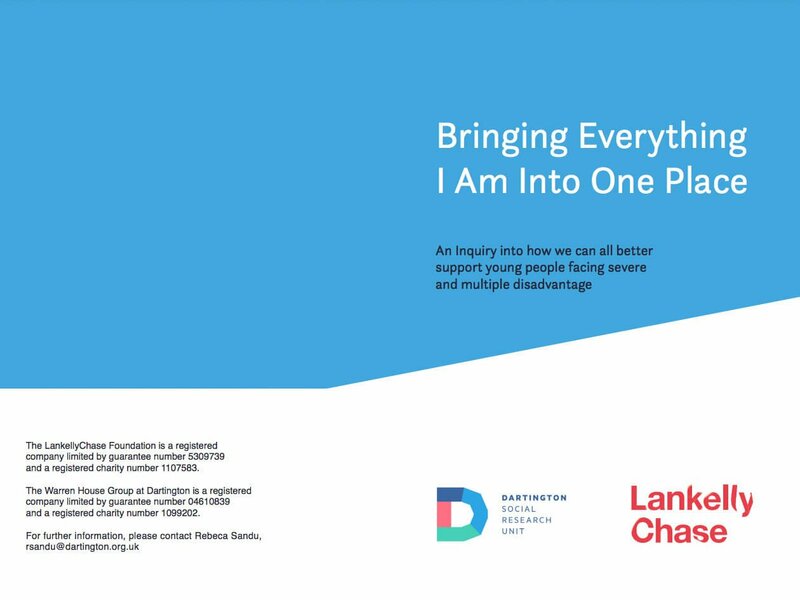 Bringing Everything I Am Into One Place is the result of an Inquiry undertaken with Dartington Social Research Unit (DSRU). It is based on conversations in large and small groups with over 100 people whose life or work gives them expertise about the situation of ‘people facing severe and multiple disadvantage’. The book advances a way of thinking called relate without pity that aims to predict how relationships between the helper and the helped, between public systems, and between systems and civil society will diminish disadvantage. An animation has been created to help illustrate some of the main themes in the book. Click here to see it.